If you’re searching for in-demand auditing jobs, you may also want to consider becoming an external auditor. Unlike internal auditors who are hired directly by an organization, external auditors are third-party consultants reviewing company financial records independently. Under the Securities and Exchange Act, publicly traded companies are required to consult with an outside auditing professional. External auditors are often preferred since they haven’t formed relationships with employees and won’t be biased in their findings. Stricter regulations will likely drive the need for more external auditors, especially in the financial sector. The Bureau of Labor Statistics predicts that employment of external auditors will grow by 11 percent through 2024, which is faster than average. 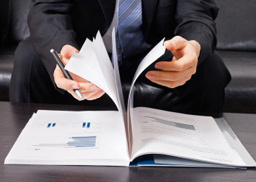 Review the following job profile to determine if external auditing is your best niche. External auditors are appointed by corporate shareholders with the intent of carefully examining the validity of the organization’s financial records. Like internal auditors, external auditors will pore over accounting books, payroll, purchasing records, and other financial reports to spot red flags. Getting to know the organization and its operations comes first for audit planning. Then, it’s their job to determine whether the company is fairly following the Generally Accepted Accounting Principles (GAAP), according to the Financial Accounting Foundation. Finding financial misstatements due to error, fraud, or even embezzlement is what external auditors do. After performing their tests, external auditors prepare detailed, unbiased reports on corporate ethics for management executives. Typically, external auditors will specialize in a specific industry, such as manufacturing, healthcare, real estate, construction, energy, or logistics, to understand the ins and outs of business. External auditors won’t be affiliated with a single organization though. Instead, they’re hired by public accounting and auditing firms. Some external auditors are hired by local, state, or federal government agencies to watch over corporations. A high percentage of external auditors are also self-employed as consultants and paid by the companies they’re auditing. Most external auditors work full-time, but one in five works longer than 40 hours per week. Their job involves regular travel to review clients’ business operations firsthand. Becoming an external auditor starts with a bachelor’s degree from an accredited four-year higher learning institution. Most external auditors major in accounting, finance, business administration, mathematics, or statistics. Some select universities will offer baccalaureate programs in auditing. Obtaining at least two years of professional accounting experience is recommended. It’s common for external auditors to begin as accounting clerks, bookkeepers, and junior auditors. Heading to graduate school for a Master of Accounting (MAcc) or MBA could facilitate faster promotion. Any auditors filing SEC reports must fulfill the 150-hour requirement for becoming a Certified Public Accountant (CPA). Passing the exam to become a Certified Fraud Examiner (CFE) is also wise for external auditors, according to the Association of Certified Fraud Examiners. Overall, external auditors work independently to thoroughly inspect a company’s accounting records for costly mistakes. External auditors are highly trained to spot potential fraud risks and gather material evidence of misstatement, similar to detectives in criminal investigations. Working as an external auditor is financially and intrinsically rewarding. Not only do external auditors earn an annual mean wage of $73,670, but they also hold organizations accountable for following ethical guidelines. If you’re an analytical, objective, and assertive problem-solver with a keen attention to detail, becoming an external auditor could be ideal.